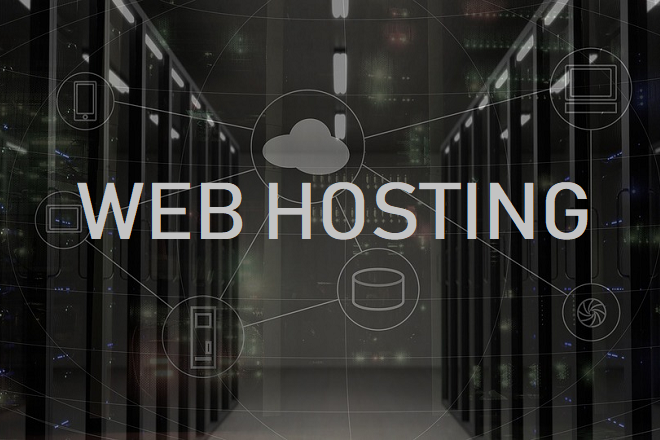 In the present article, you are going to meet the rating of the best web-hosting providers for the year 2019. The rating includes the most essential parameters potential customers pay attention to usually besides, there are prices available for each web hosting. Bluehost is a very reliable American hosting. Servers are located in Utah. The set of services provided is complete by the standards of a niche: regular, cloud, VPS hosting, rental of dedicated servers and domain name registration. There are also separate feature packages optimized for WordPress and WooCommerce (store). All configurations use SSD-drives; moreover, bandwidth, mail storage, and disk space are not limited (to the extent – excluding file sharing, etc.). SSL connect is free. Afterhours support, response speed and quality of assistance vary, although, in general, they are at a high level. Control Panel – cPanel with Russification (must be selected in the settings). Sites work quickly, FTP down speed is relatively high (about 65 kbit/s), and although lower than that of Russian hosters (the remoteness of servers plays a role). Used CDN. PHP and the database are not off under load, and the response is bright. Uptime of servers is high – 99%, rarely initiate server reboot (up to 25 minutes offline maximum). They can disable the site if the server is overloaded or spam. Regular hosting can be purchased for $ 3.95/month, VPS – for $ 19.99/month, optimized for WordPress starts at the same level as usual – from $ 3.95/month. SiteGround is reliable and fast hosting with servers located in Europe (UK, Italy, the Netherlands), Asia (Singapore) and in the USA. It provides virtual, cloud and VPS hosting services based on KVM-virtualization (hardware and software resource reservation, the best option). Allow you to assemble the configuration of a dedicated server independently, daily backups. CDN is used, which levels the geographical spread of the physical location of servers. The cPanel is installed by default. A separate branch is optimized hosting for WordPress at prices of virtual. It includes special tools for administration, free SSL, unlimited domain email accounts, CDN, developer panel and more. Similar packages are under Magento, Drupal, and Joomla. It gives SSH access, several PHP versions to choose from, dedicated IP, everything works under Linux (CentOS). Increasing the capacity of a dedicated server occurs without rebooting it: after-hours support, responsible and competent people. The need to understand English to communicate with technical support, because they do not speak Russian. The most affordable virtual hosting tariff will cost $ 3.95/month, the same cost are optimized for WordPress and other CMS packages. Prices for VPS start at $ 64/month. 1 & 1 IONOS is an American provider with servers located in Europe (Germany, Spain) and the USA. It is on the market for over 20 years. A trial period is as much as 30 days. The domain and SSL are free for the first year. It allows in the course of work to increase the level of server performance (amount of RAM and database size). A total of 5, each increase adds $ 2 to the cost of the tariff plan. All servers work on SSD-disks, storages allocate a lot on tariffs (from 100 GB). In the first 12 months, the cost is meager (from $ 1), than ordinary. Among the products, there are packages with virtual and dedicated hosting (VPS), domain logging service. You can install the necessary CMS and other useful applications in one click (among them even the CS Go game server). The control panel of its design, quite comfortable and functional. There is a website builder and shops, quite worthy of use. Servers run on Linux and Windows. Afterhours support. DDoS protection included. Automatic backups every six days. There is a mobile app for iOS. High reliability of work, uptime of 99.9%. Technical support does not work as quickly as they have. The minimum rate of virtual hosting will cost $ 8/month. Price VPS starts at $ 15/month. GoDaddy is the world famous American domain provider. The king of this niche, providing high-quality hosting services, virtual, cloud and dedicated (SSD-drives, KVM-virtualization). The company’s website is Russified, but technical support is still English-speaking, and its quality is average, uneven. A modification of cPanel and CentOS (or Windows / Parallels Plesk) is used to manage resources. At the payment stage, you can choose a bare hosting (cheaper), or an option with a pre-installed application package. Applications can be installed in 1 click from an extensive set (CMS, plug-ins, marketing gadgets, etc.). You can buy additional capacity on the go. Plans for WordPress are delivered to a separate branch – ready, an optimized package with automatic installation of CMS, database and useful add-ons. Antivirus, DDoS protection, antispam, blocking bots and other security measures are by default active. Every night, backups are automatically created, which are then stored for a month. Increased productivity in 1 click. The modified cPanel is functional, but there are problems in terms of convenience. Virtual hosting starts at a price of 3$/month, VPS – from 31 $/month, optimized for WordPress – from 8 $/month. When you first pay the price a little lower, we indicated the real cost of the service renewal. Besides, these prices do not include VAT. DreamHost is an American hosting service whose processing data centers are based in the USA. The scope of services is standardly sufficient: virtual, cloud, VPS hosting. Everything is stored on SSD-drives. The control panel of its design rather tangled, but very functional. Here you get more tweaks than the average of competitors. They give full access (SSH, sFTP), servers work under Linux or Windows to choose from. There is a library of useful applications (CMS, etc. ), although many of them require manual installation, which is inconvenient. Afterhours support communicates in English, good. On the tariffs, give the domains for a year as a gift and SSL, unlimited traffic. There are packages optimized for WordPress/WooCommerce that come with the necessary plugins installed and automatic updating. CDN is used to speed up connections. There is a nuance with backups: they are not automatically created, you should submit a request (no more than once a month) or do them manually. The most convenient way is to keep copies on the 50 GB backup storage provided by the hosting for such needs. The control panel is not at all intuitive. Virtual hosting costs at least $ 2.59/month, VPS is $ 13.75 usual, and WordPress-optimized with the same parameters is $ 16.95. WPEngine is a dedicated hosting service for WordPress sites, one of the first of its kind. Websites on this engine, especially difficult assembled, with a large number of plug-ins, work faster and more stable than it happens on average. Optimization here is of crucial importance, which is the main advantage of hosting. 24-7 support works on a narrow profile, so it solves issues skillfully and quickly. Servers are located in Texas (the USA, central office), as well as in Britain and Australia. Due to the popularity of sites on WP, the hoster focuses on security from hacking. If, however, the site is broken, the company guarantees free elimination of consequences. WP updates and SSL installation are automatic here. Used SSD-drives. Tariff packages include the latest versions of PHP, phone support, premium templates, useful plugins and more. Refund is valid for 60 days. The service provider uses AMD (version of the site for developers) – one of the giants of the IT-area, which indicates a high level of technical equipment. Restrictions on tolerance, the ability to install plug-ins blocked by the system, etc. in this spirit — flexibility has been sacrificed for the security and speed of the sites. One site will cost $ 35/month, and for $ 115 you can already contain five sites. There is also a contractual tariff for those who need special conditions. Hostgator is a large US provider with reasonable prices. Very popular, with a considerable number of subscribers, which is why sites on virtual hosting tariffs can lag, and tech support cannot keep up with the traffic of calls. There are also plans for a cloud, VPS hosting, and dedicated servers. Hoster tolerates gaming sites and other of those that create a large load. The equipment copes, the claimed server uptime is 99%. Domain registration services are provided. The default is the Russified version of cPanel. In a separate line derived rates with optimized for WordPress settings and resources. There is also a free built-in website builder with a visual editor, a set of templates, marketing tools, and a store. Website transfer from other hosting sites and SSL connection are free. Backups are created automatically. For installation in 1 click, many applications and modules are available (a lot of CMS, PHP, MySQL, blogs, forums, galleries, etc.). Mail accounts are not limited in quantity. A large number of programming languages is supported. Not the fastest file upload speed via FTP. Virtual hosting can be ordered for $ 2.75/month, optimized for WordPress for $ 5.95/month, with site builder – for $ 3.84/month, VPS – for $ 29.95/month. There are also offers for resellers, and their price starts at $ 19.95/month. Network solutions is the hosting of an American technology giant from Florida, primarily engaged in domain name registration. It works in a niche for 20 years. Provide services exclusively virtual hosting, including, and optimized for use WordPress. From the library of applications, you can install other popular CMS, framework support, programming languages and more. Give unlimited storage, provide a high level of security. The level of cost of services is noticeably higher than the market average. It provides a dedicated consultant to assist in setting parameters, transfer files and site from other hosting sites. Scanning for malicious items and backups occur automatically, daily — after-hours support of qualified people. Domain name is given as a gift. Refund is available for 30 days. All major web development and administration tools are supported. There is a built-in site builder, free, sufficient to create small, modern sites. High uptime – 99%, support for CDN technology. The level of functionality (flexibility) is lower than the market leaders. Regular hosting will cost at least $ 9.96/month, sharpened under WordPress a little cheaper – $ 7.99/month, but within this package, there are restrictions on the storage capacity (50 GB) and the number of sites. Mochahost is an influential provider from the USA (headquarters and its data center in Chicago) with very affordable prices. A wide range of tariff plans for a virtual, cloud, VPS for Windows and Linux, as well as optimized for CMS and other applications. There is a domain provider. All servers are SSD-drives. Technologies are used to reduce the power consumption of servers, which partly explains the cheat prices (cost below). Guaranteed 100% uptime of servers. Traffic, disc space, and unlimited mailboxes. The provider guarantees many things to clients: lifelong SSL, no server restarts, discounts on company services, 180 days of money-back, enhanced server protection, super-performance, and automatic backups, advanced monitoring of everything and everyone, CMS optimization, free domain forever and something else that top. 24-7 support is qualified, but not always on time. The control panel can be selected, cPanel is by default. There are mobile applications (iOS/Android) for account management. The vast geographical coverage of data centers (available in 50 countries). The mail server is mediocre. Virtual hosting can be ordered for $ 1.95/month, with optimization for WordPress – for $ 2.48/month, VPS for Linux – from $ 7.98/month, and for Windows – from $ 11.69/month. GreenGeeks is an American provider with servers located in the USA, Canada, and the Netherlands. It emphasizes environmental concern: technologies that compensate for the threefold electricity consumption of servers by the servers are introduced. Green hosting. Provides services of regular, VPS-hosting, optimized for working with WordPress and for renting dedicated servers. When registering, you can choose the location of the server. Used SSD RAID-10 storage, CDN. VPS resources can be expanded on the fly. A free website builder is available on all rates with a visual editor, a set of templates and online store support. The default is cPanel. When connected, they donate a domain bundled with an SSL certificate. The amount of storage, traffic, the number of domains, databases, FTP and mail accounts are not limited to the rates of virtual hosting. Backups are automatic, daily — stated uptime at 99.9%. There is a 30-day refund — technical support around the clock (phone, online chat, mail). There is a library of applications. Site mail does not always work correctly. The price of virtual hosting starts from $ 2.95/month, provided registration for three years (for WordPress hosting prices are similar), VPS will cost $ 39.95/month. Previous articleWhat Strategy to Adopt to Get Started on Instagram?